Tottenham Hotspur manager Mauricio Pochettino has updated fans on the injury sustained by striker Harry Kane during yesterday’s defeat to Manchester United at Wembley. The England international picked up an ankle injury in a last-minute challenge by United defender Phil Jones, and was left on the turf clutching his leg as the final whistle blew. 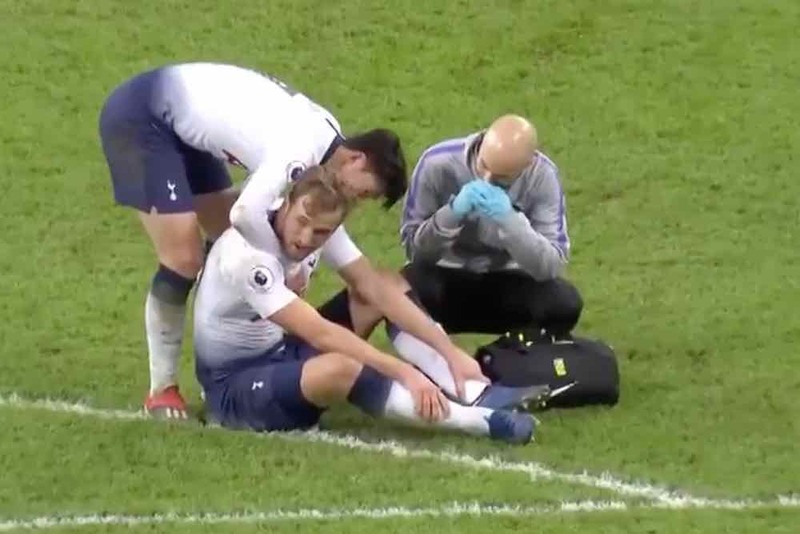 Speaking after the final whistle, Pochettino said it had been a bad tackle on Kane that had caused the injury and that his star goalscorer had swelling on his ankle. He said: “It was a clear foul on Harry Kane, a big hit, [referee] Mike Dean said he didn’t see it. The Spurs boss’ mind also wandered to the nightmare scenario of losing Kane for a prolonged spell just as Heung-min Son heads off to the Asia Cup with South Korea. He continued: “It wasn’t the intention of the United player but it was a bad tackle and Kane was limping after the game. Kane missed 10 games in the 2016/17 season with an ankle injury and suffered a similar injury to the same ankle last season. The Champions League last 16 first leg against Dortmund on February 13 will be a key target if Kane’s injury does rule him out for any forthcoming fixtures. "It is worrying because we are going to lose Son to the Asian Cup, and if Harry Kane suffers some issue it is going to be a massive problem."